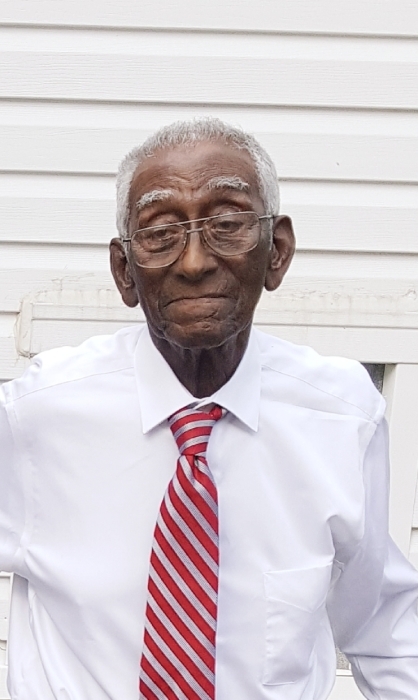 Mr. Horace B. Kelly was born on June 10, 1926 to the late Mr. Henderson Kelly and the late Mrs. Mary E. Kelly of Goodwater, Alabama. He joined St. John A.M.E. Church at an early age; in which he also served as a deacon and on the usher board. He was a faithful servant until he was no long able to attend due to health. He retired after working several years as a cement mason. Horace departed this life at his residence on Friday, January 18, 2019. He was preceded in death by two Brothers: Mr. H.D. Kelly and Mr. James “Jack” Kelly and Sister Willie C. Patterson. He leaves to honor his memories, one son Mr. Horace Lee Kelly, one granddaughter Mrs. Shavonne (Dexter) Wyckoff, one grandson Mr. De’Andre L. Kelly and one great-grandson Mr. Jamarrious D. Kelly all of Montgomery, Alabama. Five sisters: Ms. Mary G. Kelly, of Godwater, AL. Mrs. Voncile Ridgeway of Pell City, Alabama. Mrs. Doris Russell of Alexander City, AL. Mrs. Thelma (James) Clark of Mt. Vernon, New York. Mrs. Juliet Turner of Talladega, AL. A brother-in-law, Mr. Wilbert Thomas. A special devoted niece Sharon Daniels of Goodwater, AL. And a host of nephews, nieces, relatives and friends.